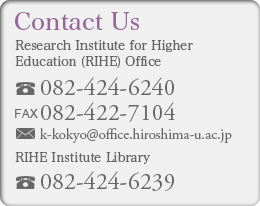 Centre for Global Higher Education (CGHE), Institute of Education, University College London, U.K. The Executive Agency for Higher Education, Research, Development and Innovation Funding (UEFISCDI) together with the National University of Political Science and Public Administration (SNSPA) and the Romanian Ministry of National Education (MEN) is jointly organising the third edition of the Future of Higher Education – Bologna Process Researchers’ Conference (FOHE-BPRC 3). The conference is part of the European Higher Education Area (EHEA) official calendar of events and conferences, promoting and sustaining the development of EHEA. It aims at providing a unique forum for dialogue between researchers, experts and policy makers in the field of higher education. There is no registration fee is required, but numbers are limited due to space. More information on the conference website.